SATIVA is a pipeline that uses Evolutionary Placement Algorithm (EPA) to identify taxonomically mislabeled sequences and suggest corrections. Get the most up-to-date SATIVA version from github. Please refer to the source code repository for usage instructions. SATIVA is integrated with the most recent (unstable) version of ARB software. 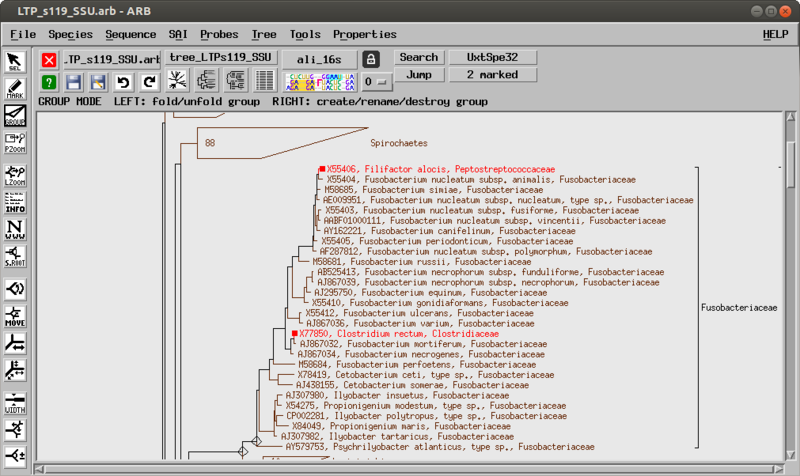 The graphical interface of ARB can be used to select input sequences and to display identified mislabels directly in the tree. Currently, you can either use development builds or compile ARB from source. Please send all your questions and feature requests regarding SATIVA to the RAxML google group.